ABC’s of Zoo Kids, Inc. This two-fold program, now in its second decade, raises money from individuals and community partners to subsidize Zoo field trips for schools and non-profit organizations serving at-risk or disadvantaged children. Interested in learning more? Please visit our qualifications page and take the eligibility quiz to determine if your school/ organization qualifies for the Zoo Kids, Inc. program. But, what does the process involve? After you determine your eligibility, complete an online application (available 4/22/19 – 8/19/19). It only takes about 20 minutes, if you know what dates your class/ group would like to visit. ZKI subsidized field trips are available on Mondays, Tuesdays, and Wednesdays only from late September 2019 through June 2020. Once you’ve completed and submitted your application, you’ll get an immediate, electronic confirmation. April 22 – August 19 Applications available for 2019 – 2020 academic year. August 19 Last day to apply for ZKI funding for 2019 – 2020. August 27 Grant awards sent out via email on or by this date. September 17 Last day to accept ZKI funding. 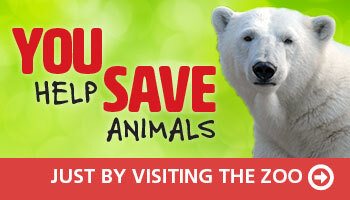 October 1 All Zoo Kids Inc. recipients must complete online registration form (including Spring 2020 field trips).